Convenient spaces for nomads who need to focus on individual task work. Here they have room to array their materials and tools, easy power access and lockers for storing their belongings during the day. 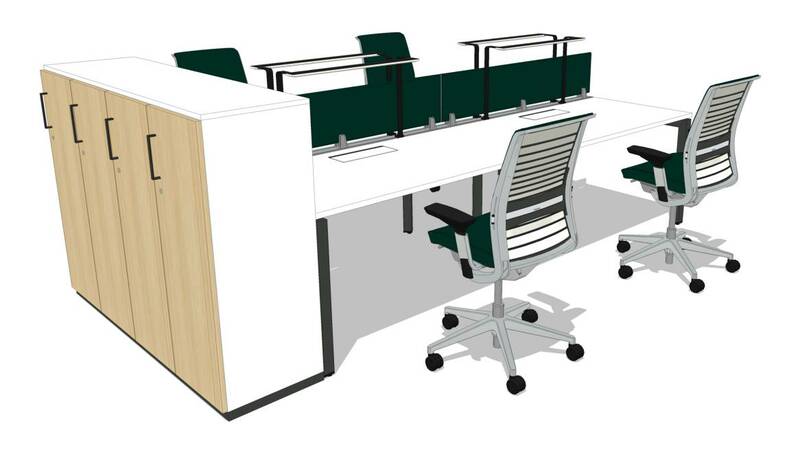 Open workstations promote knowledge sharing and help create community among mobile workers.